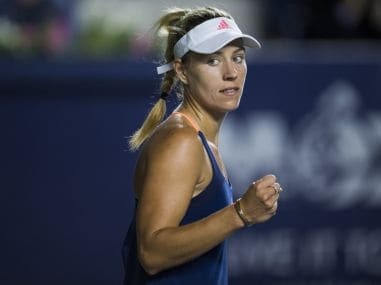 Tokyo: Former World No 1 Angelique Kerber thrashed Japan's Naomi Osaka 6-3, 6-4 at the Pan Pacific Open women's tennis tournament on Monday to avenge a humiliating loss at the US Open. Frenchwoman Kristina Mladenovic suffered an epic Tokyo meltdown, meanwhile, as she was pulverised by China's Wang Qiang, who inflicted the dreaded "double bagel" on the eighth seed to win 6-0, 6-0 and reach the second round. Kerber, seeded seventh, crashed to a shock 6-3, 6-1 first-round defeat by Osaka in New York last month as defending champion. But a repeat never seemed likely on Monday as the German quickly took control. Kerber, who has slipped back to 14th in the world since winning last year's Australian and US Open titles, ripped forehands past her teenage opponent seemingly at will in the first set. Osaka's game unravelled completely in the second, giving Kerber a welcome opportunity to work her way back to form after a poor run of results and to seal victory in an hour and 23 minutes. "I was trying to come out, focus on every single point and make it better than last time," said Kerber. "Naomi is a tough opponent and a great talent. For sure she will have great success in the future." 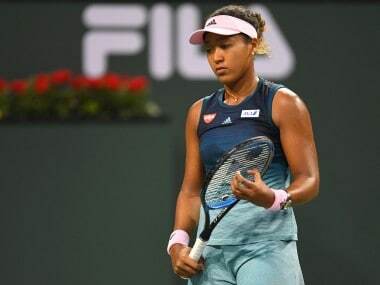 The 19-year-old Osaka, born of a Haitian father and a Japanese mother, went on to reach the third round of the US Open after stunning Kerber. But the world number 44 almost appeared to be tanking at times at the venue for the 2020 Tokyo Olympics, such was her lack of gusto. She committed 38 unforced errors — including a wild forehand on match point — in a performance she will want to forget in a hurry. Elsewhere, Japanese wildcard Kurumi Nara beat Kazakhstan's Yulia Putintseva 2-6, 6-4, 6-2. "It gives me confidence that I was able to turn it around," said Nara. "Hopefully I can take that spirit into the next match." Two-time champion Agnieszka Radwanska, seeded sixth, pulled out of the tournament with a virus, according to organisers. Wimbledon champion and new women's World No 1 Garbine Muguruza heads a strong field in Tokyo featuring several top 10 players including Karolina Pliskova, Caroline Wozniacki and Johanna Konta.